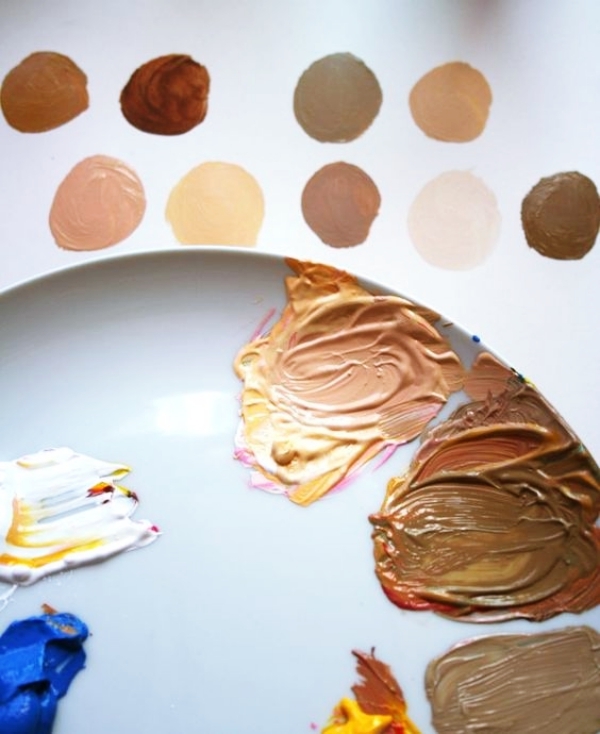 While painting can give you a peace of mind, the art of achieving a perfect skin tone can give you a severe headache. Well, understanding a Picasso painting also requires a creative eye (and these guidelines too). A painting is perfect if it looks real and natural rather than just a piece of paper with colors spread on it. And painting a portrait can be a bit intimidating as well. It’s not that easy to catch a person’s resemblance on the canvas. A portrait is not just about the face and expression or the emotions shimmering in the eyes of the person. A perfect skin tone is a very important factor as well. Now, wait. You don’t rely on those “flesh” colored tubes for the skin tones do you? Because it wouldn’t ever suffice the originality of a painting. It will give you almost a same skin tone every time. And there is no such thing as a single skin tone. 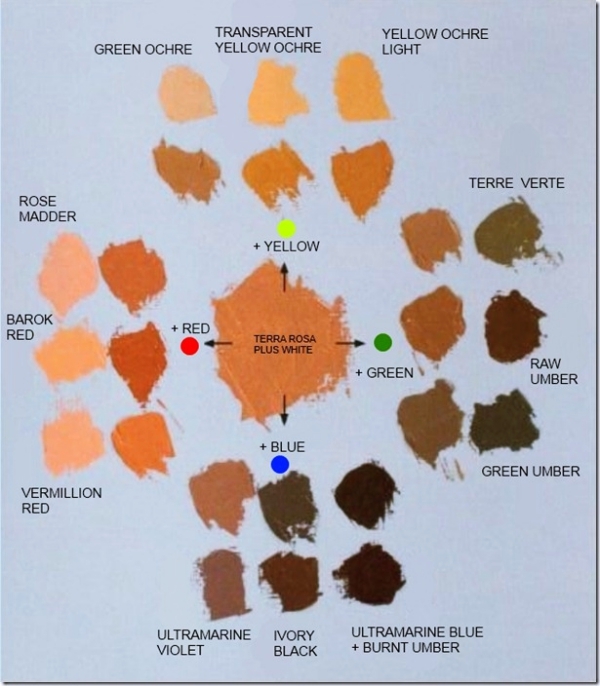 But don’t worry; using the suggestions that I have given in here will help you to get the perfect skin tone for your painting. Yes, it will happen that your favorite tee shirt will be a waste just ’cause of a color stain! Here is what you would be doing then! 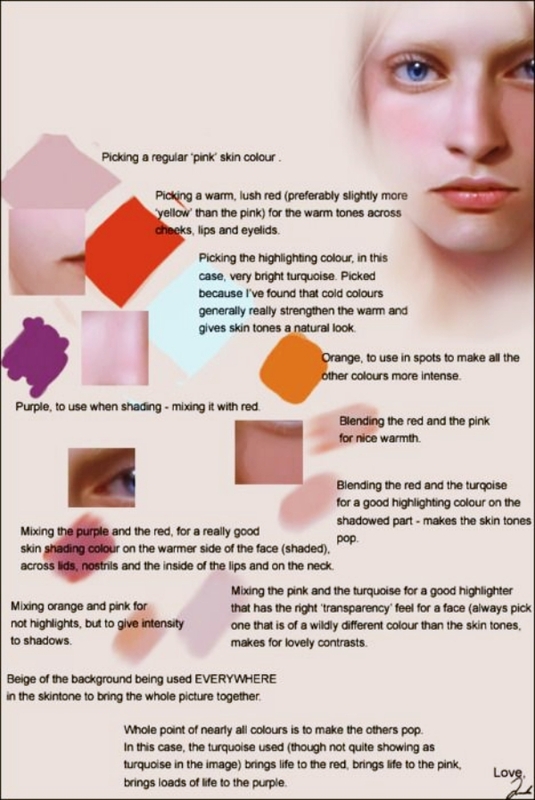 A reference image will give you a better idea of the skin tone. There are so many skin tones that will make one confuse. And like I said earlier, there is nothing like a single skin tone even if you are painting a single person. So you cannot simply rely on a single flesh color to paint. It is important that you know the underlying tones of the person as well as subtle tones along with the original hue of the skin. So a better reference image will help you to determine all these. Although, I would advice you to have a picture of high quality with perfect combination of resolution, light and shadow effects. The art of expressionism and a great hand at drawing shapes and blending colors is an important factor for drawing perfect portraits. Every skin color consists of a varying fusion of basic colors that are red, yellow and white. And if looked at with keen eyes, you will also find a bit of blue or purple undertones. So you see, a single skin tone is not enough for the portrait. 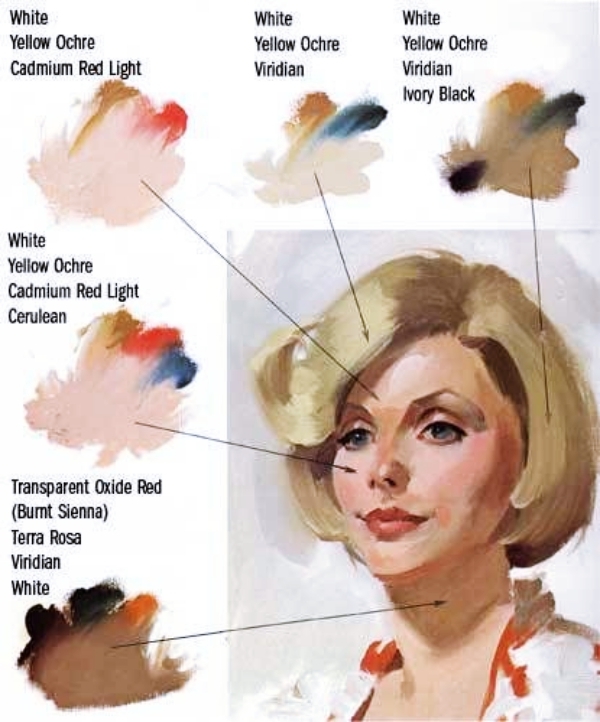 Using a mixture of these colors in accurate proportion you can easily get the perfect skin tone for your portrait. Here are a few canvas paintings ideas to try your hand on. It will be a good thing if you first mix your colors on your palette instead of directly on canvas if you are new to this buzz. Use titanium white, cadmium red and cadmium yellow and ultramarine blue. 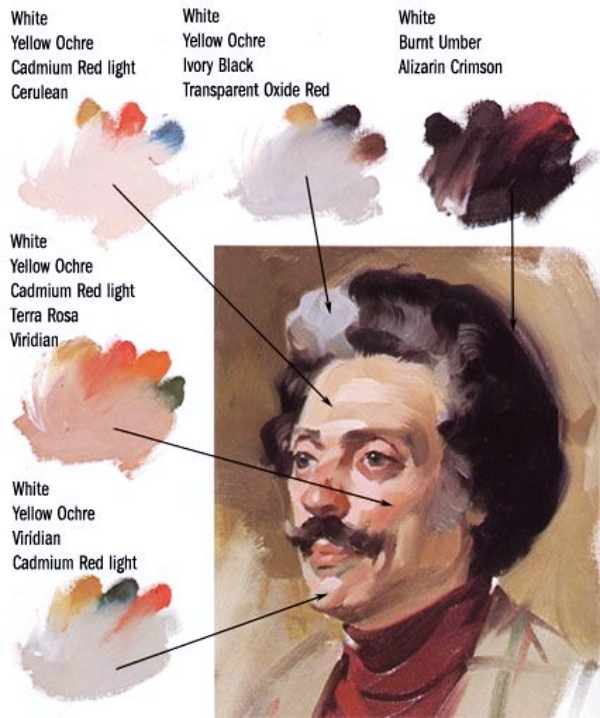 You can also use burnt sienna, yellow ochre, alizarin crimson and cerulean blue instead. First take the basic colors of red, yellow and white as well as a bit of blue on your palette. The proportion of each color will vary according to the skin tone. Start mixing the red and yellow together and add the blue a little to get the bluish tint of the skin. Now, add white color into it to get the opacity and pigment of any color that you will require later. 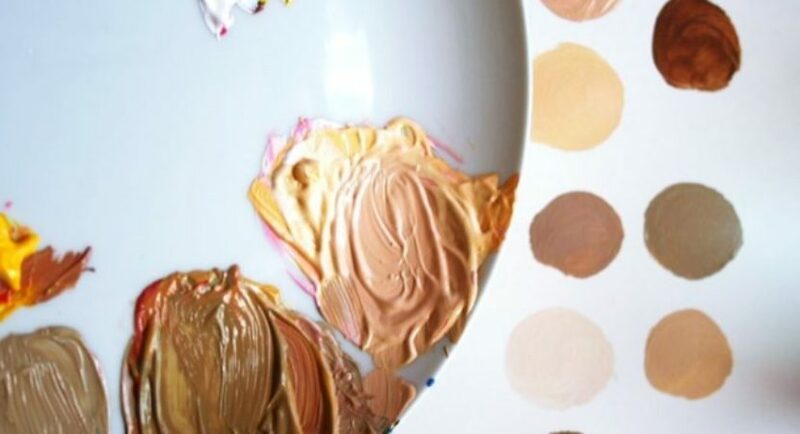 This will give you a base mixture for your skin tone. Talking of paintings like you are a pro at it even when you are a beginner is a secret hidden here. To acquire the skin tone that you have in mind, you simply need to add a touch here and there of some brown or black color to this mixture. Making caricatures is yet another inspiration in the world of paintings that needs a pro hand at blending colors and perfect skin tones. For a lighter tone, you will have to add white to the base color. If it gets too light add more base color to the mixture. Match the color with your reference image. For a medium tone, again add white color to the base but in a small amount. 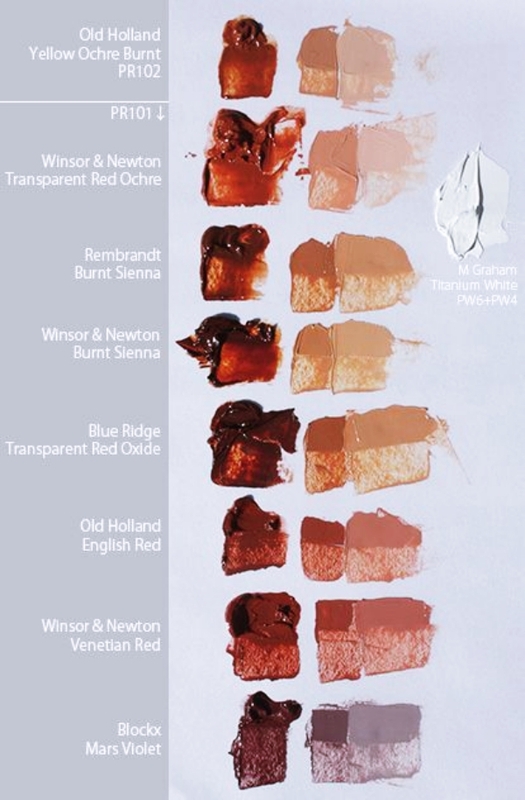 Adjust with the base color and white color to get the apt flesh tone. For darker tone, add burnt umber to the base color. If it gets too dark, add white and lighten it. If it is a bit light, add the base color and assess it. Depending on the artist, one can also use mars black instead of brown color. 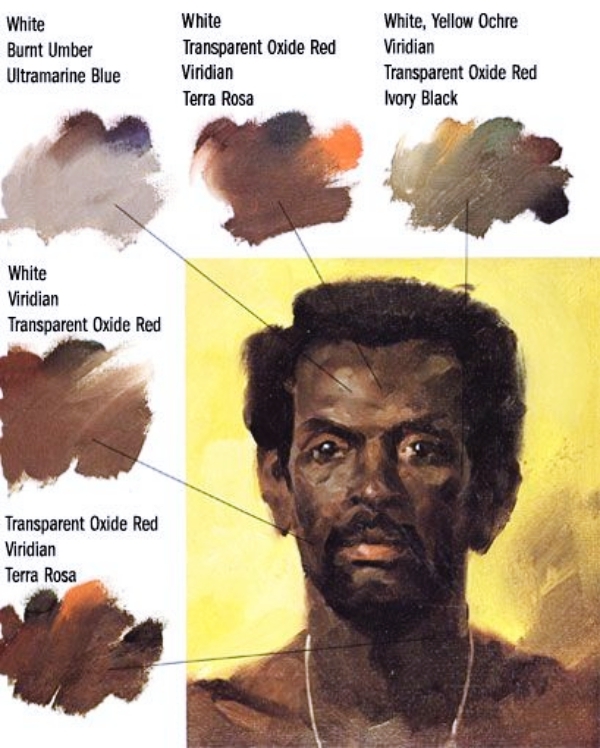 Using different proportion of the colors you can get varying skin tones. You can make a cheat sheet of your own for future reference. See, it wasn’t that tough was it? You can adjust the colors and get the perfect skin tone that you have in mind. 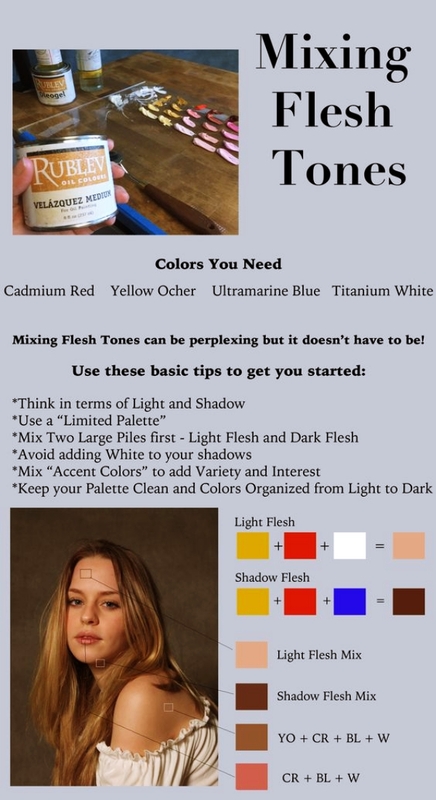 Try making the color of your skin tone for practice. With time you will excel in this mixing and matching. Have fun with fusion!